If you use the Adobe payment program you have an option to create a slide show that can be shared with everyone via email. As far as I know, sharing slideshows via email cannot be done for the most part as the slide show is too large. In the past I've resorted to setting up a You Tube account and sharing that way and I know there are other slide show programs similar to You Tube. 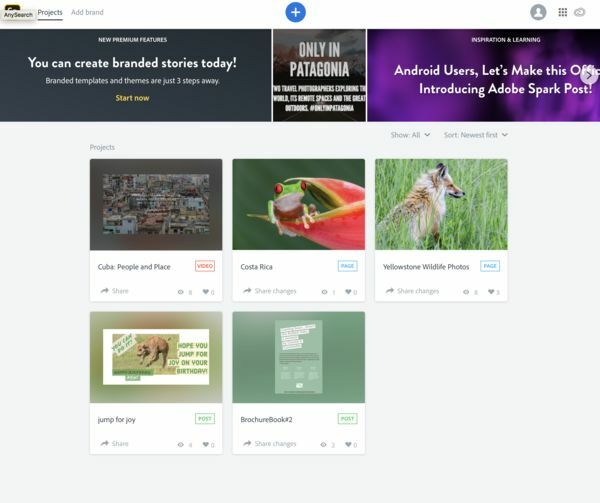 By using a program in the Adobe package called Spark, which everyone has free access to, you can create a slide show that resides on the Adobe server and all you send out is a link. You can also create printed type material to send digitally, flyers, invitations, brochures. All of the items you create can also be exported in various formats or you can email people and use the link. All of your items are saved in your "file" on their storage device until you delete them. You can also go into each project and redo it. I do that with a birthday card I've made. There is one big downside to this "video," as Adobe calls it, it is slightly difficult to create a slideshow with multiple slides. "Go figure" why Adobe would write a "video" program and not make it possible to import multiple photos at one time. The work-a-round I found was to export my images and then save them to the cloud and then I could work with the images from the cloud and fairly quickly import them one at a time. The "video" slideshow program is basic and you cannot do much with it but the slideshow turns out fine and they have included "Ken Burns" effects, which is why Adobe calls that part of the application "video" I guess. Video clips can also be included but I have not yet done this. Also, the program allows you to do voice over so you could make the video very personal for a family member, for example, if you choose to do that. I am still in the figuring out phase. I can tell you that the application does not come with directions and you just need to click on things to find out how it works. You find the Adobe software by going to the cloud icon, scrolling down until you see the application called Spark, and then launching it. Spark provides you with a project screen where all of your projects will be kept (I've provided a screen shot for you of my project screen). The + button at the top opens up a new project. In a subsequent email I will include my first project using this software, a slide show of Cuba, as I think links in the first email seem to get the posting bounced somewhere else. This will give you an idea of how the application does and if you think it might work for you to create a slideshow. Thank you for the information. I will never have the opportunity to visit Cuba. I would suggest that you may slow the show down a bit so that my old mind could absorb all the sights. Love all the old cars. I have used Adobe to create video slide show but find it kind of clunky. I prefer Powerpoint. Very easy to incorporate slides, crop pictures, adjust pictures, insert slide transitions, insert videos, insert audio clips, etc. I have found no significant difference between the size of the file using either Adobe or Powerpoint. Once one starts doing video files, the size is going to be there. It is a heck of a lot easier to open the images in an application like Windows Movie Maker, add transitions, music, titles, etc and save as a MP4 file. The problem is that Email attachments are usually limited to 8 Mb max size, and your movie will probably be larger. Using Dropbox, iCloud, OneDrive, etc and storing as a shared file is the easiest. I do this all the time for those Bar and Bat Mitzvah movies. Fantastic slide show Connie. Beautiful work. Everybody - CHECK IT OUT!! Connie - can you maybe slow it down a bit. They are great pictures and deserve a little more time to absorb. Thanks for posting the info and the slide show. I am aware that there are many other programs someone can use, and I have used them, but since this particular program is included in the payment we make each month it is an option for a user and something to be considered. What fine pix, and your path from one photo to another is well done. (I have written a film book). The slow zoom on each shot is a good way to create interest, and surprisingly the repetition does not bore. The repetition of the music does get annoying for me, however. Quite enthralling, and while most all the pix are very good, you have some definite stunners in there. Thanks for the general info, and the sharing of your work. Wonderful pictures. A great example of how well Socialism works. Wow! What a terrific, highly professional presentation! Sell it to a network! Thanks for posting. I had heard of Spark but not used it. Still unclear of where you uploaded your images to and how you worked on the show in the cloud. I make shows of my images and actually showing or transferring the large file is a pain. I also like that you got the music from Spark also. You Tube and other social networks don't let you use music from a cd. I meant to ask what file type you uploaded. Was it raw or converted to jpg? Thanks Connie.......The Adobe Spark is quite lovely. I process everything in LR, then using the Export function and a jpeg format I export to a file on my computer. I go to the Adobe cloud icon and Cloud Files, see screen shot, and then just drop and drag the jpeg files onto the cloud folder that opens up. When I open Spark there is an option, once in the "video" portion, to choose from where you want to import. I choose the Cloud and the photos pop up. I don't use the Cloud for anything else and, in my case, they were sort of "just there" on the sidebar of the application. From there I could click on the add icon, which is a blank slide as I recall, and choose my photo. I did this for each photo but it only took a few minutes. Then I rearranged as needed. Hope this helps. You can PM me if you need to. Thanks for sharing the info and the show! A bit slower would be more pleasing IMHO and I found the zoom effect positive and plan to incorporate it the future. The Spark application creates the zoom effect, I did not control that and I am not sure if it can be controlled by the user, but the control of how long a slide stays up is controlled by the user.